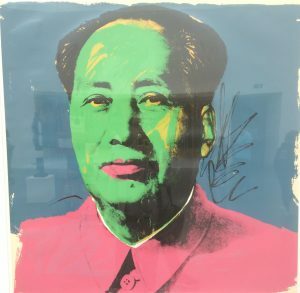 Although Mao Zedong was himself a staunch Marxist and placed himself in the direct lineage of Marx, Engels, and Lenin, and even though Mao was one of the few leaders who would actualize or who could be interpreted as having actualized a Marxist revolution that placed a people’s party in power, nevertheless Mao’s thought, writings, and his reception in the 1960s and 70s offer a very different model of uprising than the “modern concept of revolution” that we explored in Uprising 1/13 with Etienne Balibar, Simona Forti, and Gayatri Spivak. Yet despite all that, the modality of uprising that we might identify with Mao, at least today, is different than the prototypical class struggle and modern revolution. There is a distinct shift in the way that uprising is conceptualized from Marx to Mao—a shift from revolution to what we might call “insurrection” or “insurgency.” And it is to this model of “Maoist insurrection” that we turn in Uprising 2/13. I would propose, as a working hypothesis, that the shift from Marx to Mao and Maoist insurrection is related primarily to two important transitions or differences. The first is a certain loosening of the grip of the philosophy of history, a gradual loosening in Mao’s thought, but even more so in the later receptions of his thought starting in the 1960s and 70s. Mao himself started with a strongly Marxist philosophy of history, no doubt; but I would argue that it slowly leaked out of his writings, and even more so, out of his reception, so that today, Maoist insurrectional writings, such as the Invisible Committee’s The Coming Insurrection (2007), have a far less determinist historical backbone. The second difference is more conjunctural—especially in the reception of Mao in the West and South. The rise of Maoist-inspired thought, particularly in France at least in the late 1960s, was practically determined by the historical conjuncture of a Stalinist-dominated communist party still completely captured by the Soviet Union, and the absence of an attractive socialist party alternative. In this regard, I agree entirely with Claire Fontaine that the conjunctural reception in the West and South must be understood through the lens of a certain orientalism and the projection of Western leftist desires onto Maoist China. The result of both the loosening of the philosophy of history and the conjunctural nature of the later reception of Maoist thought is, I would argue, a distinct model of “insurrection” as a form of uprising that we can see today manifested in the writings of the Invisible Committee. On top of this, there was, I believe, a structural transformation of the underlying map of revolutionary and insurrectional uprising: for Marx, the driving force of history was the class struggle, which was imagined predominantly as a struggle between the bourgeoisie and the proletariat. In other words, it was in its modern manifestation, but also in its precursors, a struggle between two classes, two entities, two enemies. For Mao, the brilliant military strategist, the war involved three parties: the active insurgents, the Kuomintang, and the mass of peasants. The Maoist theory of insurgency placed at its core the mission, for the small minority of active insurgents, to gain the allegiance of the general population, of the masses. (To a certain extent, vanguardist Marxism got closer to this tripartite mapping, but it was still far more binary than Maoist insurgency theory). Mao’s discourse was all about embracing the people—about striving to win over the peasant masses. And this was evident not only during the original insurgency leading to his victory against Chiang Kai-shek in 1949, but even as late as the end of the Cultural Revolution in 1968. One can still hear it when, in confronting the Red Guards (the young radical high school and university students empowered under the Cultural Revolution), Mao tells the students that their task had been to transform society for the betterment of all, not just of the young militants—that their mission and undertaking, which they had failed, had been to universalize the struggle, to embrace all segments of society, to serve the people. His was a language of universality and unity: “The unification of our country, the unity of our people and the unity of our various nationalities—these are the basic guarantees for the sure triumph of our cause,” Mao wrote in 1957 (On the Correct Handling, p. 384). And Mao emphasized, well into the 1960s, the need to embrace the people, and not disdain them. “Our strong points are that we have the support of the people whereas the Kuomintang is divorced from the people,” Mao would still write in 1964 (Talk on the Questions of Philosophy, 27). Today, in much of the insurrectional discourse, the mapping of the struggle is similar to Mao’s—in the sense that there is a pretty clear demarcation between the small minority of insurgents, the police/police state, and the general population; however, it often feels, at least from the rhetoric, that the insurgents view themselves as an embattled minority with little interest and some disdain for the passive masses. The discourse of contemporary insurrection is that of a pitched battle against the counterrevolutionary forces (as was the case against the Kuomintang), but at a distance from the passive majority—masses that do not seem movable or winnable. The general population has become the consumerist, neoliberal mass of individuals, who are more objects of disdain, than a popular force to be won over. France, the Invisible Committee tells us for instance, is “the land of anxiety pills,” “the Mecca of neurosis,” (The Coming Insurrection (2007), at p. 27 of 139); and rather than embrace the people, the insurrectional project is to withdraw to communes, to isolate oneself, to remove oneself from the people. “Far more dreadful are social milieus, with their supple texture, their gossip, and their informal hierarchies,” the Invisible Committee writes. “Flee all milieus. Each and every milieu is orientated towards the neutralization of some truth” (101/139). Even anarchist milieus must be forsaken because what they do is “blunt the directness of direct action” (101/139). Insurgents today must form communes instead of blending into the population. They must remove themselves from the toxicity of the general population. The masses must be viewed with caution and suspicion, not the least of which because “we expect a surge in police work being done by the population itself” (118/139). To summarize, then, the shift from Marx to Mao and to Maoist insurrection today can be characterized as a transformation from a Marxist model of binary class struggle that will necessarily lead to revolutionary upheaval as a product of dialectical materialism, to a paradigm of tripartite warfare in which the small minority of insurgents can only win over the peasant masses as a byproduct of insurgency theory and practices, to, today, a Maoist-inspired insurrectional notion of an embattled minority in violent struggle against a police state, but with little hope of gaining the allegiance of the neoliberal masses. This ultimately leads to a more separatist insurrectional modality today that feels less sure of the future. A vision that may entail a far more permanent state of civil war and insurrectional conflict. In conclusion, one could say that the turn to Maoism by European critical thinkers and militants during the late 1960s and 1970s represented a rejection of a more classical, unified, or coherent Marxist vision of proletarian revolution led by an organized, industrialized working class, guided by an intellectual vanguard, and determined by history. The Maoist shift was not simply the replacement of the working class by agricultural workers, or what was referred to as “peasants,” though that was of course an important, even foundational dimension. But the more important shift was from a unitary notion of revolution (in the singular, as Koselleck emphasized) as a tidal wave of a massive uprising of one class against another, to the idea of micro-insurrections by the minority insurgents that would culminate in a massive movement of the people. It thus entailed far more military strategy at the micro level—which would then inspire youth cells or groupuscules in the 1970s, or today theorists and strategists of insurrection like the Invisible Committee. The vision, the model is very different. It does not start with the large union of workers seeking to take power, but the small cell of insurgents disrupting and causing havoc. And even though Mao was the originator of the idea of winning the hearts and minds of the masses, and that those methods were successfully deployed in Indochina, Vietnam, and Algeria, it’s not at all clear that many of the younger Maoists in the 60s and 70s had any hope or aspiration of bringing the masses on their side—history had lost its hold. Today, in a text like The Coming Insurrection, there is even more of a strain of disdain for the masses, and it is hard to imagine any ambition to sway them or bring them over to the insurgency. There is more of a separatism in the Mao-influenced movements today, a desire to live apart, in a commune, away from others, the hopeless others. Mao most often expressed an embrace of the people that the newer Maoist-inspired insurgents do not seem to share. Respect and fair treatment of the ordinary people was central to Maoist strategy. It was all about being respectful, not stealing, not exploiting, returning anything borrowed, treating the people properly. The more contemporary Maoist-inspired model of insurrection, then, is one that is more separatist, cellular, secessionist. I will close by borrowing, for a moment, Alessandro Russo’s creative blending of Marxian and Foucaultian approaches, and agree with Russo that “Marxian revolution was part of a ‘revolutionary episteme.’” (Russo, pt. 1). Well, I would propose that Maoist insurgency has a different episteme: it has the small-bore, tactical episteme of the guerilla fighter, associated with the uprising, the rebellion, the insurrection, as opposed to the mass revolution. Now, it is possible, as Russo suggests, that for Mao this small-bore insurrectional disorder was the precondition to mass mobilization; that it was through these disorderly uprisings that the popular masses would appear politically. (Russo, pt. 2) The question is whether this survives in the more contemporary versions of Maoist-inspired insurrection. For information about Jean-Luc Godard’s La Chinoise (1967), which we screened and discussed with Claire Fontaine, including a new translation of Godard’s interview in English, see here.